able energy wind stocks for June 29th. Vestas made news headlines in the sector announcing this week that it has taken a major step forward in solving a critical wind energy challenge: It has successfully tested a full-scale “stealth” rotor on a turbine, paving the way for wind power plants to be located near many military, airport and other radar systems without interfering in their operations. In other wind news, in an article in Reuters, “Clean energy groups in San Diego County are hoping to spark a wind energy rush in a region far better known for its abundant solar power. Radar-friendly wind energy: An estimated 20 gigawatts of worldwide wind energy capacity is blocked by radar interference concerns, Vestas Technology R&D testing validates an efficient solution. Vestas, the world leader in providing high-tech wind power systems, today announced that it has taken a major step forward in solving a critical wind energy challenge: It has successfully tested a full-scale “stealth” rotor on a turbine, paving the way for wind power plants to be located near many military, airport and other radar systems without interfering in their operations. The stealth turbine test, which was conducted at a UK customer site with technology partner QinetiQ, is part of an ongoing research collaboration that began in 2006. Preliminary test results, announced today at the International Wind and Radar Forum in Ottawa, Canada, showed that a Vestas V90 turbine with stealth rotor achieved a targeted reduction in radar cross-section of approximately 99 percent, or 20 decibels, compared with standard turbines. TORONTO, June 29, 2011 / - China Wind Power International Corp. (TSX-V: CNW), an independent wind power producer in China, today announced an annual production and revenue update on its fully operational Phase I for the fiscal 2011 year ended March 31, 2011. All amounts are in Canadian dollars unless otherwise indicated and all revenue numbers exclude 17% VAT. Disclaimer/ Disclosure: The following news is part of the Clean Wind Energy Tower, Inc. (OTCBB: CWET) advertising program with Investorideas.com. Clean Wind Energy, Inc. compensates investorideas.com (one thousand five hundred per month, 100,000 144 shares) to be showcased as a renewable energy stock within its hub of sites and blogs.Our sites do not make recommendations. (JUHL) Three thousand per month by third party IR firm. Nothing on our sites should be construed as an offer or solicitation to buy or sell products or securities. We attempt to research thoroughly, but we offer no guarantees as to the accuracy of information presented. All Information relating to featured companies is sourced from public documents and/ or the company and its management and is not the opinion of Investorideas.com. Point Roberts, WA - June 29, 2011 - Investorideas.com, a leader in cleantech investor research issues an investor snapshot for cleantech companies trading on the Frankfurt Stock Exchange, as well as an industry look at developments in European cleantech funding. Money continues to flow into the European cleantech Markets, with news that Zouk Capital LLP, formerly Zouk ventures Ltd (“Zouk”), announced the final closing of Cleantech Europe II (“the Fund”) at €230 million, comfortably ahead of the Fund's original target of €200 million. Cleantech Europe II will be Europe's largest dedicated growth equity fund in the cleantech space, a market which was worth over €70 billion in investments in 2010. McNally Capital, LLC and Black Coral Capital announced the formation of the Cleantech Syndicate, a consortium of 11 prominent families from across the United States representing a collective net worth in excess of $30 billion. The Cleantech Syndicate was formed to enable its members to share capital, deal flow, knowledge and networks as they continue to invest in and support Cleantech companies. The members, and their collective investment team of 17 dedicated professionals, plan to invest $1.4 billion of their private capital in Cleantech companies over the next five years. Later this year, the Cleantech Syndicate plans to launch a European Cleantech Syndicate, as well as a U.S. co-investment vehicle that will allow selected non-Syndicate members to invest alongside the members. Recently listed wind company, City Windmills, Ltd. (CYW.F), is seeking capital for executing a large bulk pre-order of City Windmills. A Private Placement Memorandum (PPM) for investors is presently available and allows investors to benefit from a share price at a 60% discount from market value. If fully subscribed, City Windmills, Ltd. (CYW.F), is targeting to have manufactured and sold 1300 windmills by the end of the year. French President Nicolas Sarkozy said that the country will pledge €1 billion ($1.4 billion USD) to nuclear power research and development. France will also commit €1.3 billion to renewable energy projects. Sarkozy said that the moratorium on nuclear power did not make any sense and that there were no alternatives to nuclear power that were cleaner than fossil fuels available today. CITY WINDMILLS (CYW.F) fell 4.83% to close at $1.14. ALGAE.TEC (GZA.F)slid $0.03 or 12.22% to $0.24. Solarvalue AG (SV7.F) shares climbed 0.034 (8.50%) to close at $0.434. 3Power Energy Group ( PSD.F) surged 3.28% to $0.63. KSB AG (Public, ETR:KSB) fell 14.80 (-2.72%) to $528.75. Phoenix Solar AG (PS4.F) closed with a gain of 0.05 (0.27%) to $16.81. Just a week ago, the company said that it reached an agreement to build a 2.6 MW solar power plant near Nettuno in the Lazio region of Italy. Etrion will own the power plant, and Phoenix Solar will design, construct and provide operations and maintenance services for the park. Construction is expected to be completed by August 31, 2011. This article is part of a series of Investorideas.com articles examining the cleantech sector on the Frankfurt Stock Exchange. City Windmills © was founded in early 2010 and has carried along its idea of building an efficient, enduring and cheap windmill, adapted for home use, for industrial level use and for larger sized wind farms. With City Windmills © and the low cost of production per kWh, any home can afford electricity at grid parity costs. Several steps of developments allowed the City Windmill © system to evolve from producing energy at 0, 12 € (0, 14 US$) per kWh, then at 0, 09 € (0, 11 US$) per kWh and finally at 0,065 € (0, 08 US$) per kWh. This production cost, while amortizing the price of a City Windmill © over a period of 20 years (as for other power producing plants), is competitive with every other energy source. And this is achieved without any subsidies. In an unsubsidized environment, the payback can be as short as 4.5 years. The company is targeting the $20 Billion outdoor advertising industry with a new concept in green outdoor advertising, combining clean energy technology and advertising. Our sites do not make recommendations. Nothing on our sites should be construed as an offer or solicitation to buy or sell products or securities. We attempt to research thoroughly, but we offer no guarantees as to the accuracy of information presented. All Information relating to featured companies is sourced from public documents and/ or the company and is not the opinion of our web sites. This site is currently compensated by featured companies, news submissions and online advertising. Learn more: Disclosure – compensation :City Windmills, Ltd. (CYW.F) 0 three thousand five hundred, plus five thousand shares per month as green showcase company . Point Roberts WA - June 28, 2011 (Investorideas.com renewable energy/green newswire) Investorideas.com, a leader in cleantech investor research, reports on trading for renewable energy stocks for 27th June and profiles wind company, Juhl Wind Inc. (OTCBB:JUHL) for green investors. SunPower Corporation (NASDAQ:SPWRA) shares climbed 1.30% following this morning General Electric (NYSE:GE) said that the company it is planning to invest $63 million towards developing commercial partnerships with 10 home energy technology companies. Evergreen Solar, Inc. (NASDAQ:ESLR) also soared 22.50% to $0.60 following a sharp fall of about 23% during the last week. More than 3.30 million shares were traded, compared to its average volume of 1.05 million shares. Energy Conversion Devices, Inc. (NASDAQ:ENER) shares rose 0.10 (8.70%) to $1.25. So far this year, the stock has slumped about 73%. It has a 52-week range of $1.05-$5.80. The sector also got a boost from recent news that money flow into cleantech is still strong . McNally Capital, LLC and Black Coral Capital announced the formation of the Cleantech Syndicate, a consortium of 11 prominent families from across the United States representing a collective net worth in excess of $30 billion. The Cleantech Syndicate was formed to enable its members to share capital, deal flow, knowledge and networks as they continue to invest in and support Cleantech companies. The members, and their collective investment team of 17 dedicated professionals, plan to invest $1.4 billion of their private capital in Cleantech companies over the next five years. This is the largest pool of dedicated capital to the Cleantech space. Canadian Solar Inc. (NASDAQ:CSIQ) jumped 0.24 (2.16%) to close at $11.34. EVCARCO INC (OTC:EVCA) fell 5.11% to end the day at $0.0130. First Solar, Inc. (NASDAQ:FSLR) rose 0.12 (0.10%) to $116.6. LDK Solar Co., Ltd (ADR) (NYSE:LDK) surged 0.33 (4.85%) to $7.14. JA Solar Holdings Co., Ltd. (ADR) (NASDAQ:JASO) rose 0.16 (2.87%) to $5.73. Point Roberts, WA - June 27, 2011 Investorideas.com and its green and nanotech investor portals release a trading alert for smart battery company, mPhase Technologies, Inc (OTCBB: XDSL). The stock is trading up over 12% on volume of over 21 Million shares. LITTLE FALLS, NJ - June 27, 2011 (Investorideas.com Newswire) - mPhase Technologies, Inc. (OTC.BB: XDSL) today announced that this morning it released a new video that provides technical insight into how the company is developing Smart Surface applications, focusing on the self cleaning phenomena of controlling how water and non-water based liquids can selectively be controlled when applied to different types of porous substrate materials. This closely replicates a phenomenon known in nature as the Lotus Leaf Effect http://en.wikipedia.org/wiki/Lotus_effect. The video shows how this Smart Surface technology has been used to create the first of its kind Smart Battery. mPhase (OTCBB: XDSL) is a showcase green stock and nanotech stock on Investorideas.com and its related investor portals and blogs. mPhase Technologies is introducing a revolutionary Smart Surface technology enabled by breakthroughs in nanotechnology, MEMS processing and micro fluidics. Our Smart Surface technology has potential applications within drug delivery systems, lab-on-a-chip analytic systems, self-cleaning systems, liquid and chemical sensor systems, and filtration systems. mPhase has pioneered its first Smart Surface enabled product, the mPhase Smart NanoBattery. In addition to the Smart Surface technology, mPhase recently introduced its first product, the mPower Emergency Illuminator, an award-winning product designed by Porsche Design Studio and sold via the mPower website: http://www.mpowertech.com. More information about the company can be found at http://www.mPhaseTech.com. Source - Investorideas.com, mPhase Technologies, Inc.
mPhase also stated that they will exhibit a prototype of the Smart Nanobattery, that was the subject of a United States Army STTR grant, at a Special Meeting of Shareholders being held on Wednesday, June 29, 2011 at 10:00 A.M. at 587 Connecticut Avenue, Norwalk, Ct. 06854. At the meeting mPhase will also provide, in detail, its deep intellectual property in the area of Smart Surface technology and its strategy to enhance shareholder value. After the meeting mPhase will post a link to the presentation for shareholders to view. Anyone interested in learning more about mPhase Technologies can call the company at 973256-3737 or visit the mPhase website at www.mphasetech.com. mPhase Technologies is introducing a revolutionary Smart Surface technology enabled by breakthroughs in nanotechnology, MEMS processing and microfluidics. Our Smart Surface technology has potential applications within drug delivery systems, lab-on-a-chip analytic systems, self-cleaning systems, liquid and chemical sensor systems, and filtration systems. mPhase has pioneered its first Smart Surface enabled product, the mPhase Smart NanoBattery. In addition to the Smart Surface technology, mPhase recently introduced its first product, the mPower Emergency Illuminator, an award-winning product designed by Porsche Design Studio and sold via the mPower website: http://www.mpowertech.com. Point Roberts, South Salem, New York - June 27, 2011 www.Investorideas.com, a leader in cleantech stock research, releases a new solar stocks commentary on annual performance from contributor, J. Peter Lynch for June 27th. As a result of the much more volatile market and continued pressure on solar stocks last month sold two of the remaining three positions in our solar stock portfolio. These sales leave the remaining portfolio with only the original 1,000 shares of GT Solar (SOLR) from the original 7 solar stocks we started with on January 2 2010. As I have said many times in the past this current market continues to stay in a higher risk area and the longer it says in this area the more likely we will see at least a larger short term correction � we have already had a roughly 6% correction to date. Meanwhile solar stocks have been underperforming the general markets since the beginning of 2010 and have NOT been a profitable place to be in general. Whereas our original �solar seven� portfolio which constituted our original portfolio starting in the beginning of 2010 had an annual return of 42.94% with ZERO changes made to the portfolio. Back in the beginning of 2010 I explained that we were rating all of our solar stocks and there were seven stocks that met my criteria - later named - "The Solar Seven&" that were the strongest stocks in the industry. My rating system to select the "strongest&" stocks is a proprietary combination of various relative strength measures, technical measures and some fundamental components. What we can learn is that there are always stocks going up somewhere, even in a terrible market and if you select the "strongest&" stocks in a given market segment you will, on average, do quite well. Even if, the strongest stocks are all umbrella companies and we are in a drought - regardless of what you "think&" you know or "think&" should be - always remember that "what is, is&" and always buy the strongest stocks in a sector or market. You may not always know "why&" something happens, but you will, on average, do much better than most investors and most likely better than the market. It is possible today with all the information that is available at every moment (much of which is NOT well thought out) to actually over analyze a situation and because there is so much data available it can lead to "analysis paralysis&". Sometimes it is easier and more profitable to not think as much and follow simply "what is&". Sounds easy, but in reality it is very difficult. As Yogi Berra once said, "you can't hit and think at the same time&" - sounds silly but it may be true. Technical Analysis - this form of analysis will tell you "when&" to buy a stock. It will do this by showing you (in chart format) the basic interaction of supply and demand and when the two change and shift which will indicate a time to buy or a time to sell. LITTLE FALLS, NJ - June 24, 2011 (Investorideas.com Newswire) - mPhase Technologies, Inc. (OTC.BB: XDSL) today announced that it will be releasing a new video that will provide technical insight into how smart surface materials can be used to develop a multitude of applications. The video will highlight how the company is developing Smart Surface applications, focusing on the self cleaning phenomena of controlling how water and non-water based liquids can selectively be controlled when applied to different types of porous substrate materials. At mPhase, Smart surfaces materials have been used to develop a miniature reserve battery and this technology can potentially be expanded to other non battery applications. The video segment goes on to show how the smart surface components can be assembled using semiconductor packaging methods, into a reserve battery containing lithium chemistry, that was developed under a recently funded government grant, as a power source used in computer memory backup. SEC Filing. mPhase assumes no obligation to update the information in this release. Stockton, Ca. - June 24, 2011 (Investorideas.com Newswire) - American Micro Detection Systems, Inc. (AMDS,Inc. ), is pleased to announce a major Multi-Country Product Distribution Agreement today with Badger Meter, Inc. (NYSE: BMI) for it�s REX Dissolved Metal Analysis Instrument. Badger Meter, Inc. a noted worldwide leader in the manufacturing and marketing of liquid flow measurement and control technology products will provide far-reaching distribution channels for AMDS REX a leading-edge dissolved metals analysis instrument into the North American, Latin American, and European markets. Lynn Essman, AMDS/COO states: "Our agreement with Badger Meter is a significant and timely milestone, as the first commercial REX units are beginning to roll off the production line. Badger�s continued involvement will enable AMDS, Inc. to rapidly move into several market areas simultaneously. Over the last few months AMDS and Badger Meter have worked closely together to ensure the successful introduction of REX into multiple industrial markets such as mining, oil and gas, petrochemical, pharmaceutical, ultra-pure water, as well as the water utility markets." The REX sensor offers remote data transfer capability with no user interface required and the ability to detect the concentrations of dissolved metals in liquid flow systems down to the part-per billion (ppb) levels in real-time and with 3 Sigma Accuracy (99.999%). The self-calibrating instrument combines the use of a Nano Cellular Carbon (NCC) membrane leading to a novel x-ray fluorescence technique (XRF) to selectively capture dissolved metal ions. AMDS�s approach provides for a greater than 1000-fold concentration of the dissolved metal ions on the surface of the sensor target membrane. About AMDS, Inc. American Micro Detection Systems, Inc. (AMDS,Inc. ), is a privately held technology company located in Stockton, CA. that develops and manufactures innovative, real-time water analysis instrumentation working for a cleaner, safer environment for future generations. Founded in Milwaukee, Wisconsin in 1905, Badger Meter has earned an international reputation as a leader in the development and manufacture of flow management solutions. Its products are used to measure and control the flow of liquids, including water, oil and chemicals. Badger Meter is publicly held and its common stock trades on the New York Stock Exchange under the symbol "BMI." Badger Meter is a founding member and ongoing participant in the American Water Works Association (AWWA), the trade group that sets the industry standards for water measurement in the United States. June 24, 2011 (Investorideas.com renewable energy/green newswire) Investorideas.com a leader in cleantech investor research, reports on trading for green and electric car stocks for June 24th. US. Markets opened relatively flat and then slid on new European fears. Battery maker , A123 Systems, Inc was up in morning trading, with a high of $5.00. A123 Systems, Inc. (NasdaqGM: AONE ) develops and manufactures advanced lithium ion batteries and battery systems for the transportation, electric grid services and commercial markets. Headquartered in Massachusetts and founded in 2001, A123's proprietary nanoscale electrode technology is built on initial developments from the Massachusetts Institute of Technology. For additional information please visit www.a123systems.com. EVCARCO (OTC.BB:EVCA) (www.evcarco.com) is the first automotive retail group dedicated to deploying a coast-to-coast network of environmentally friendly franchised dealerships and vehicles. EVCARCO is bringing to market the most advanced clean technologies available in plug-in electric, alternative fuel, and pre-owned hybrid vehicles. Neighborhood electric vehicles (NEVs), also known as low-speed electric vehicles, were one of the original "electric vehicle" categories and have been on the market for a number of years. NEVs are street legal with a top speed of 25 miles per hour. Originally conceived as a way to fulfill the California Air Resources Board zero emissions requirements in the late 1990s, the vehicles have found a niche with fleets that can use inexpensive vehicles on public roads, and consumers who live in communities that often have designated paths and parking for the vehicles. According to a new report from Pike Research, the total number of NEVs on the world's roadways will grow from 479,000 in 2011 to 695,000 by 2017, a 45% increase. During that period, the cleantech market intelligence firm forecasts that annual NEV sales will rise from 37,000 vehicles to nearly 55,000 units by 2017, and North America will account for 45% of annual sales. "Neighborhood electric vehicles are proof that EVs will take many forms in different parts of the world," says senior analyst Dave Hurst. "And while moderate in terms of sales volumes compared to other emerging vehicle markets, the growth rate for NEVs will double that of the total light duty vehicle market during the same period." Hurst adds that NEVs remain competitive and relevant in today's market by utilizing lead acid battery technology, allowing them to compete at less than half the cost of light duty electric vehicles. At $100 to $200 per kilowatt hour (kWh), these lead acid batteries are the most inexpensive batteries available. Batteries used in NEVs include flooded, gelled, and absorbed glass mat (AGM) lead acid batteries. Pike Research's report, "Neighborhood Electric Vehicles", provides a comprehensive examination of the market forces, technology issues, government incentives and regulations, and key drivers of the growth of neighborhood electric vehicles. The report includes sales, revenue, and battery forecasts through 2017, as well as profiles of key industry players. An Executive Summary of the report is available for free download on the firm's website. Disclaimer: Our sites do not make recommendations. Nothing on our sites should be construed as an offer or solicitation to buy or sell products or securities. We attempt to research thoroughly, but we offer no guarantees as to the accuracy of information presented. All Information relating to featured companies is sourced from public documents and/ or the company and is not the opinion of our web sites. Disclosure: Investorideas is compensated by featured green companies EVCARCO (OTCBB: EVCA) is a showcase stock at Investorideas.com and compensated the site 500,000 144 shares in lieu of cash compensation. Point Roberts, WA - June 24 2011 - Investorideas.com, a leader in cleantech investor research issues an investor snapshot of recently listed and pending cleantech companies trading on the Frankfurt Stock Exchange. 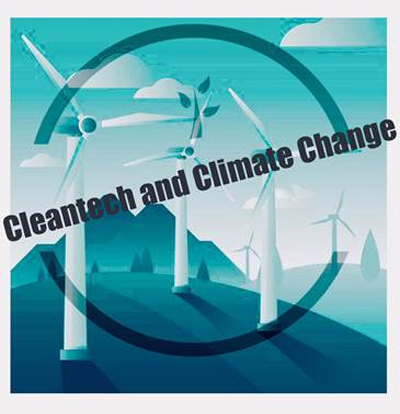 New entries to the cleantech space on the Frankfurt Stock Exchange include wind company City Windmills, Ltd. (CYW.F), Allgreentech International (V7E.F), Produced Water Solutions (PWS.F) and Clean BioEnergy (CJ7.F). Germany , known as a leader in cleantech, is home to the Frankfurt Stock Exchange, one of the ten major stock exchanges in the world and the largest of the seven stock markets in Germany. Cleantech companies from Europe, China , the US and Canada are listing on the Frankfurt to gain access to capital and the receptive European markets for their green technologies and services. City Windmills, Ltd. was listed May 2011 under the trading symbol- Frankfurt: CYW.F Ticker: 3LWG41 / ISIN: GB00B3LWG419. The company is taking a unique approach in the wind markets, generating revenue from the production of clean energy from small wind turbines, in addition to green outdoor advertising. According to the press release issued by the company, "We are delighted that approval for City Wind Mills, Ltd.. have (Cyw) to get. This provides Cyw greater access to capital, increasing the volume of trade and the international promotion of our small wind turbines for clean energy. The listing should increase the awareness of Cyw within Europe and to expand access to international brokerage firms and dealers. We believe that this step will create value for our shareholders, "said Sean Kelly, chief financial officer. Allgreentech International Plc announced its listing June 1, 20111. (Ticker: V7E, ISIN: GB00B65SNJ08). Allgreentech International Plc is an investment company with its operating headquarter in Petaling Jaya, Malaysia, that looks to create shareholder value through buying, operating and improving companies directly or indirectly aligned with the energy, resources and environment sectors. Produced Water Solutions Inc., (PWS.F) a technology driven, waste water recycling and services provider to the Oil and Gas Industry, announced in May it had concluded an acquisition of a London based holding company, listed on the Frankfurt Stock Exchange, and traded under Produced Water Solutions PLC, symbol PWS. Clean BioEnergy was listed on the Frankfurt Exchange in April , trading Symbol CJ7 . Clean BioEnergy Inc is an Alberta Canada Company setup to "market an innovative plasma technology that is environmentally accountable and financially sustainable, that meets or exceeds all government environmental emission standards”, according to the Company's release. There are cleantech companies in the pipeline as well , discussing their intention to list on the Frankfurt . Youbisheng Green Paper is planning to list on the Frankfurt Stock Exchange in the third quarter this year and HybridTech Energy, a company that generates fuel from water with its On Demand Hydrogen Injection Technology, also plans to list on the Frankfurt Exchange in the coming months. This article is the first in a series of Investorideas.com articles examining the cleantech sector on the Frankfurt Stock Exchange . Our sites do not make recommendations. Nothing on our sites should be construed as an offer or solicitation to buy or sell products or securities. We attempt to research thoroughly, but we offer no guarantees as to the accuracy of information presented. All Information relating to featured companies is sourced from public documents and/ or the company and is not the opinion of our web sites. This site is currently compensated by featured companies, news submissions and online advertising. Learn more: Disclosure - compensation :City Windmills, Ltd. (CYW.F) 0 three thousand five hundred, plus five thousand shares per month as green showcase company .